Mold is a natural product of the environment—when it accumulates in the great outdoors, that is. When mold develops indoors, such as in your home, a significant issue arises. The black and grey splotches seen on walls in homes, near windows or in the damp recesses of a basement are likely to be mold spores. 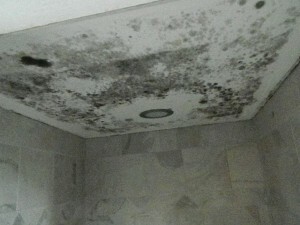 Mold is a fungi that rapidly spreads under the right conditions. Thousands or perhaps hundreds of thousands of mold species exist in the indoors and outdoors. Spores that have taken hold on property give off a distinct, musty odor, often recognizable as mold. A few common indoor molds include cladosporium, pencilium and aspergillus. Indoors, mold grows in warm, humid conditions. The fungi feeds on moisture, such as in water-logged basements, behind bathroom wallpaper or under damp carpeting. The spores can be found floating throughout the air. If they land on a dampened spot, the spores flourish, leading to a messy mold problem. Mold growth within a home appears to be just a mild nuisance to uninformed homeowners. In fact, mold spores are strong enough to weaken the structures upon which they inhabit. Drywall and flooring are typical places mold can grow, leaving those structures vulnerable to rapid deterioration. The fungi is even hazardous to the health of humans. Those who are sensitive to mold spores experience coughing, sneezing, watery eyes, a runny nose and itchy skin when they inhale or touch mold spores. People who are allergic to mold suffer more severe reactions, like breathing difficulties and fever. Those whose immune systems are weakened tend to suffer from mold infections. Mold can even spur the development of asthma in some individuals. The danger of mold is enough to warrant frequent inspections of your home to ensure that mold spores are stopped in their tracks immediately upon detection. Mold can be discovered with a visual inspection. Regularly examine your home for signs of mold: musty odors, especially in areas that have recently flooded or experienced a water leak, and black or green splotches. Get a flashlight and peer into your heating vents, under the sinks, along walls and ceilings, under and around appliances, in the attic (where mold often thrives) and even under and along porous surfaces, like carpeting. If you notice any discoloration that cannot be readily explained, it is likely mold. Sometimes, mold is not visible to the naked eye, such as mold growing behind wallpaper or in darkened areas of a basement. Plus, some mold spores may be too tiny to detect right away. 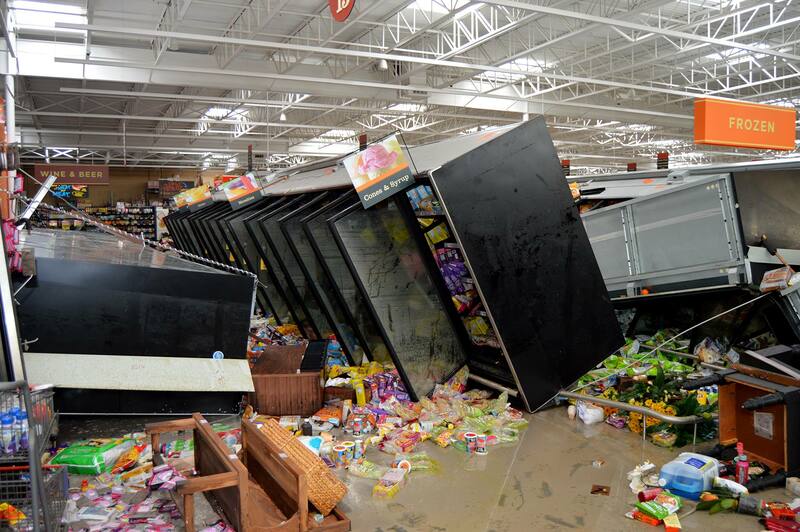 Test the area to determine for certain that the area is indeed moldy. Experts recommend purchasing a surface test that will detect the mold in areas of your home. Typical mold tests may use swabs or special tape to pick up evidence of mold growth. InstaScope is a new airborne mold assessment system only available from select ServiceMaster® brands, that immediately delivers scientifically accurate, room-by-room results. In addition to the surface test, an air sampling kit can be purchased to detect mold spores floating in the air. Experts suggest using a combination of both the surface test and air sampling test for good measure. Air sampling tests can detect both living and dead mold spores. If you fail to visually find any mold growth in your home, mold may still be present as mold spores in the air. The air sampling kit will give you accurate results. Homeowners also utilize moisture meters to detect the levels of moisture along walls and ceilings. Any detection of water damage should be followed with a close visual inspection for the presence of mold. The fungi only thrives in moisture-ridden areas. Where there is no moisture, mold ceases to exist. Once you detect mold in your home, you can take the necessary steps to eliminate all traces of the mold growth and remove any likelihood of its return. Mold feeds on moisture. If your home has any leaks, frequent flooding or condensation, mold spores will find those spaces to be a nourishing well. Eliminate the moisture, and the mold will have nowhere to thrive. The first step in tackling mold growth is to fix any leaks or reoccurring condensation in your home. After the mold is removed, it will be less likely to return without a dependable source of moisture to feed upon. Next, seal off any doorways that lead to other parts of the home to prevent mold spores from contaminating other areas. Heavy plastic works well as a sealer. Wear protective gear to avoid contact with any fungal spores. Mold removal products from a local hardware store can be used to disinfect the mold-covered spaces. All cleaning supplies, like sponges, gloves and sprays, should be tossed into a garbage bag and safely removed farthest away from the main areas of the home to avoid spreading the mold spores. 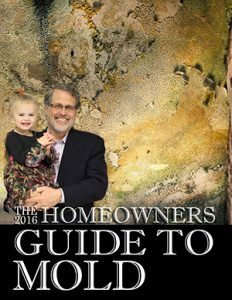 Homeowners can take steps to prevent mold contamination. Some simple steps include using a dehumidifier regularly, opening windows, and running fans often to rid excess moisture from the indoors. Any water pipe leaks should be addressed promptly. Ensure that upholstery, clothing and other materials remain dry. All items stored within a home should be kept in well-ventilated areas. Consider tossing any belongings that have been affected by mold. 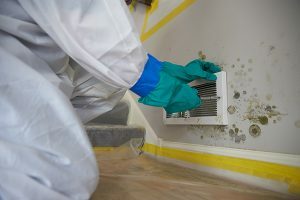 If mold has taken hold within a large area of your home, it is best to contact a professional mold remediation company such as ServiceMaster Restoration and Cleaning to remove and restore your home to its pre-damaged condition. Our skilled technicians will first assess the level of mold within your home, including a moisture assessment, then remove moldy contents, perform an air quality control and cleaning procedure, and finally complete a sanitization and anti-microbial application to eliminate all traces of mold. ServiceMaster Restoration and Cleaning is a licensed mold remediation company available 24 hours a day to take your call. 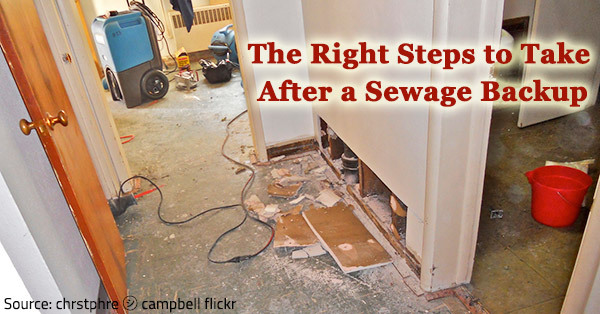 Raw sewage cleanup, in particular, is especially laborious and risky as it not only causes a lot of hassle and inconveniences, but also presents a variety of health hazards (sewage spills contain contaminants that can cause serious diseases) and sanitation issues. Professional help is your best option in such situations, but you can do a few things to limit the extent of the damage before the experts arrive (or even deal with the problem yourself if the damage is not too severe).